A Mississauga woman nearly lost her life last year when she was shot with an arrow by a suspect posing as a delivery man, police revealed on Monday. 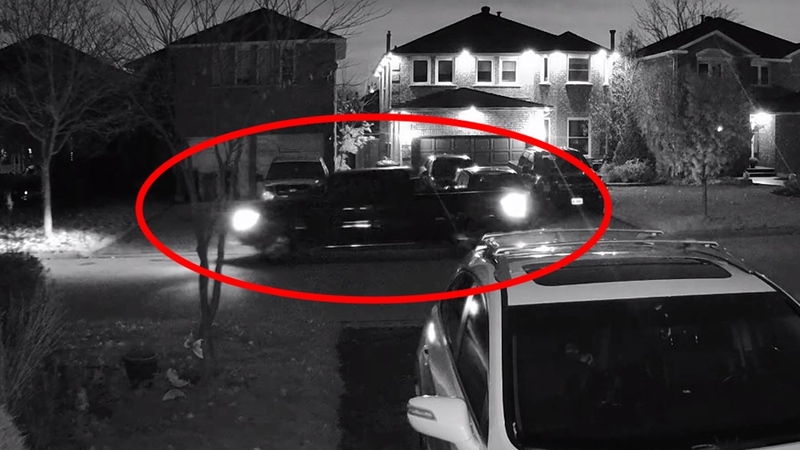 Sometime before 8 p.m. on Nov.7, the woman answered to her doorbell ringing at her home on Bayberry Drive, near Winston Churchill Boulevard and Highway 401. The 44-year-old opened the door and was met by a man wearing a hoodie and baseball cap, carrying a large box. 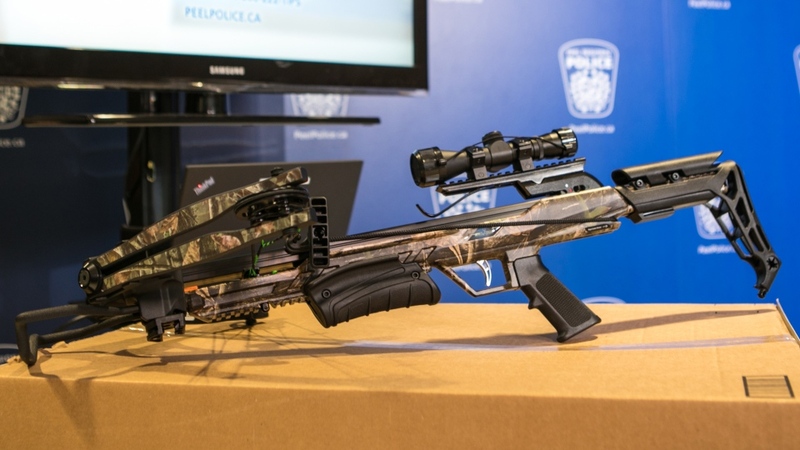 The two engaged in a “brief conversation,” police said, before the suspect suddenly fired an arrow at the woman from a crossbow hidden inside of the box. 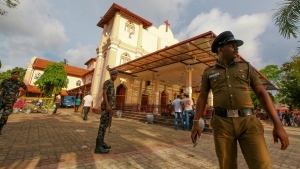 The weapon was never removed from the package during the attack. “Comments that were made to the victim by the suspect indicate that the victim was targeted,” Supt. Heather Ramore told reporters at a news conference on Monday. Emergency crews arrived at the home a short time later to find the woman suffering from life-threatening injuries. She was rushed to a local trauma centre for treatment and remained there for months. “The injuries she sustained were absolutely devastating,” said Det. Sgt. Jim Kettles. Home surveillance video provided by investigators on Monday appears to show the perpetrator standing on the front porch of the woman’s home, holding the large rectangular box with one gloved hand on top and the other underneath or inside. The clip provided by police does not include the attack itself, but does show the suspect running off the porch with the package still in hand. The front door appears to slam closed behind him. Police said the severely injured woman was able to close the door and call 911. 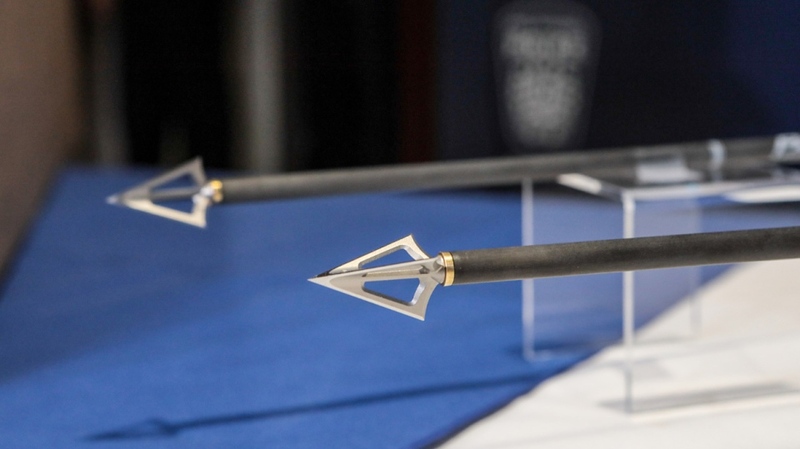 The following day, detectives descended on the victim’s home and to collect “evidence of the crime,” including the arrow police believe woman was wounded by and the home security footage. The victim later told police that she got a “direct look” at her near-killer when she opened the door that evening, but did not recognize him. While a motive for the attack is still under investigation, Kettles said detectives have established a few possibilities but refused to elaborate. Images of the suspect, vehicle and weapon allegedly used in the attack have been released in an effort to identify the perpetrator. Police said it’s possible the suspect was wearing some sort of head covering underneath the baseball hat, such as a wig. Investigators have since identified a dark-coloured pickup truck as a possible suspect vehicle. The vehicle, seen on home security footage, reportedly arrives minutes for the attack and flees minutes after it. Anyone who recognizes the person in the video or has any information about the incident is being asked to contact Peel Regional Police or Crime Stoppers anonymously. Security images from Peel Regional Police show a suspect wanted in connection with an attempted murder investigation in Mississauga.